Love the pandas!! These cute little pandas you can earn for free during Sale-a-bration. If you have been out on Pinterest, I am sure you have seen a ton of products with these cuties. 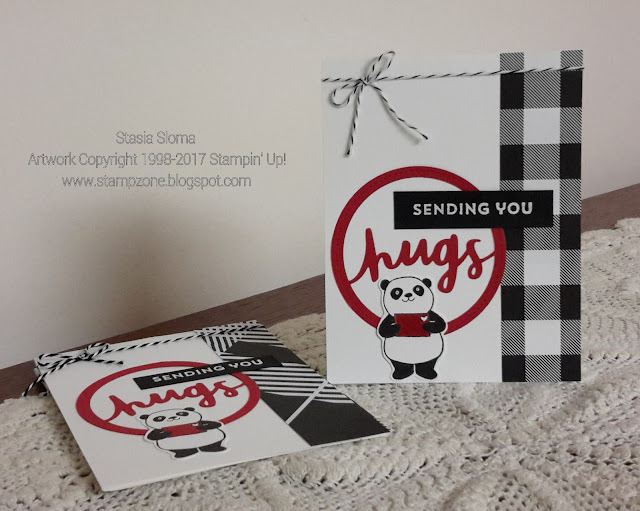 I decided to pair up these Party Pandas with the Lovely Words thinlits and the Lovely Inside & Out sentiments. Some Merry Little Christmas Designer series paper and baker's twine complete. I am really sorry to see this black and white plaid retire. I am going to have to do something about adding this to my collection somehow.